After January felt like it had about 172 days in it, thank goodness February is here with another celebration. 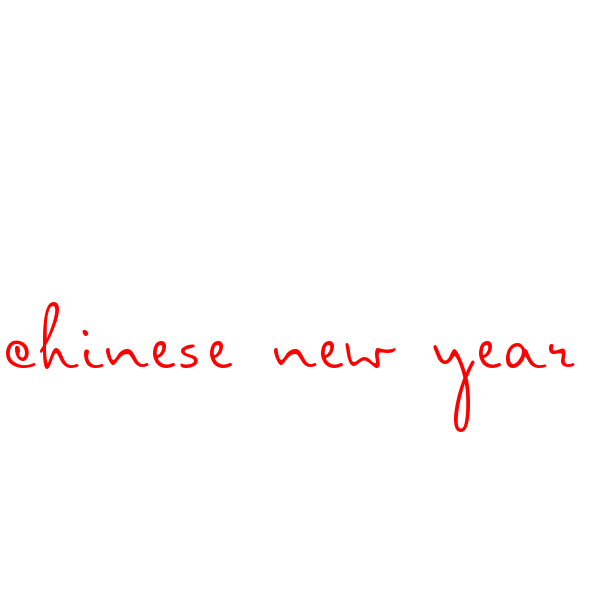 Chinese New Year is on February 5th and it’s the Year of the Pig. Funny story – the pig is the 12th sign of the zodiac, because he slept in and was the last to arrive at the Jade Emperor’s party – we’ve all been there! To honour the year of the apparently always late animal, here are some delicious Chinese recipes to cook up that don’t include pork. 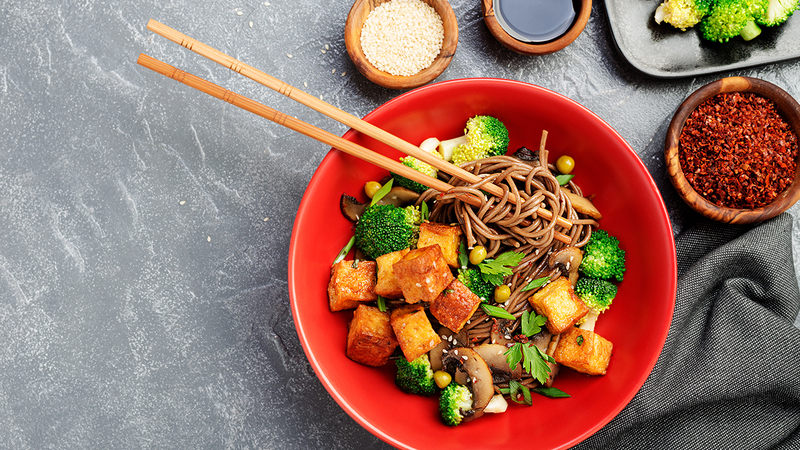 Despite the fact that chow mein usually contains meat, it’s really easy to make a veggie version that’s just as tasty. In fact, you can get so much flavour from the soy sauce, ginger and vegetable stock in this recipe from the Omnivore’s Cookbook that you’ll forget all about the meat. 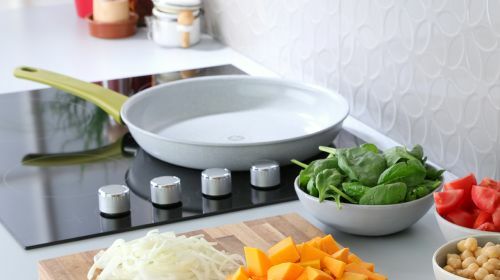 Using the Tefal Veggie Pan will make sure you have just the right amount of crunch in your vegetables to contrast with the soft noodles. While veggies can be a good stand-in for the meat, some people still like something to get their teeth into. If that sounds like you, then think about using tofu instead. Bean curd often gets a bad rep for being slimy and not very tasty, but if you cook it in a spicy, tangy and sweet concoction like Holy Cow Vegan you are guaranteed to be a convert. Your mouth will be watering as soon as you start to smell it cooking. If you’re looking for a recipe that you can adapt to make loads of different dishes, then this sweet and sour sauce by A Virtual Vegan could be just the thing. 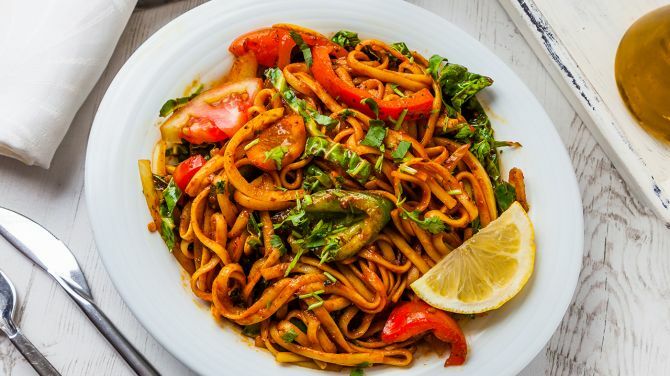 It goes great with veggies or tofu, but if you’re just trying to go meat-free once a week or more regularly, you can also do it with king prawns or chicken on those non-vegan days. 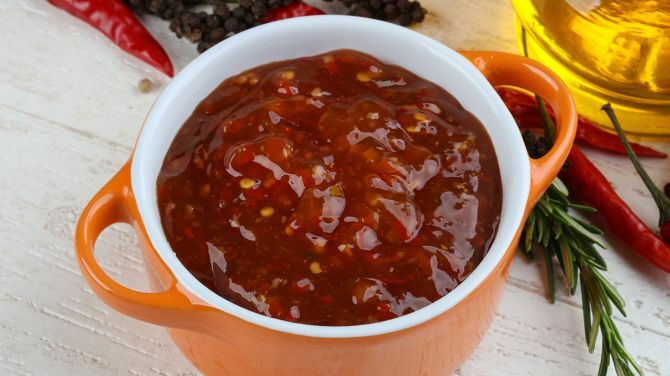 A good sweet and sour sauce is a great thing to know how to make, so add it to your skills. This is Chinese New Year, so it’s a proper celebration, which means boiled white rice just isn’t going to cut it. 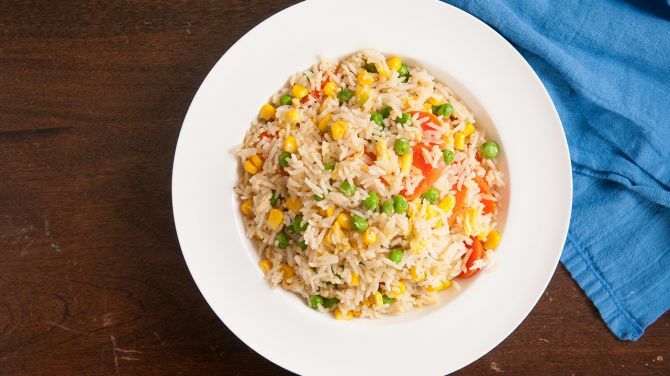 If your usual fried rice recipe is distinctly non-vegan then it’s time to rip it up and opt for a different one. This version from Lazy Cat Kitchen is animal product-free, but far from boring and you can serve it up with loads of other Chinese dishes, depending on whether you’re just doing a few or going for the whole banquet. 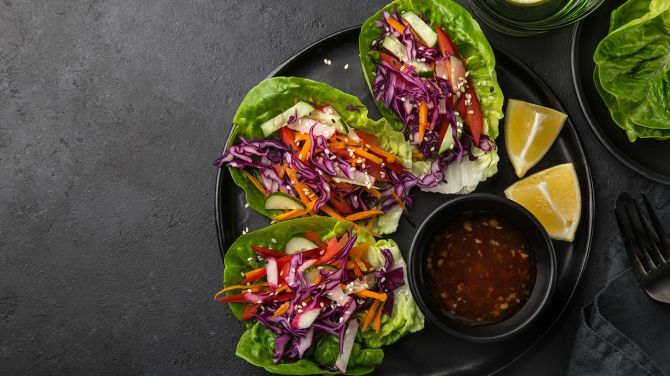 Lettuce cups are so useful if you’re trying to go vegan or cut down on carbs. 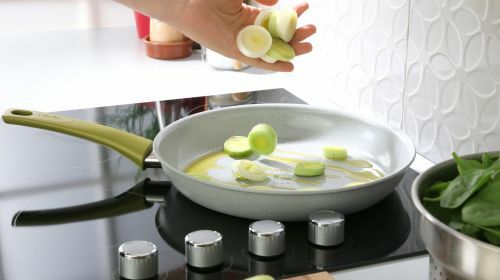 They are a great way to present tasty dishes that can be picked up easily by your guests. You might want to serve them as canapes, a starter or just to go alongside your other dishes. The mushrooms, carrots and spring onions in these cups by The Rose and Bean are flavoured with the whole Chinese pantry from five spice and chilli to ginger and garlic. Too many people believe common myths that mean more food is wasted than necessary, so find out the truth to stop being part of the problem. Want ice cream without the guilt? Check out nice cream, which has a sneaky portion of fruit or veg thrown in and is so tasty you won't notice its healthier. Would You Try Dessert Hummus? Dessert hummus is a thing and could be a sneaky way to get more healthy beans into your family’s diet. Plus its delicious! Rhubarb, mackerel and purple sprouting broccoli are all in season in February, so you can dish up dinners full of these great ingredients. If you’re vegan or intolerant to dairy, soy, nuts or gluten or just fancy mixing it up then there’s a milk alternative out there to suit you. Chips are an inch shorter due to climate change and could become a rare treat if we don’t start putting the planet first.